As we walked towards the main stage, there was a chorused uproar followed by a beam of light. 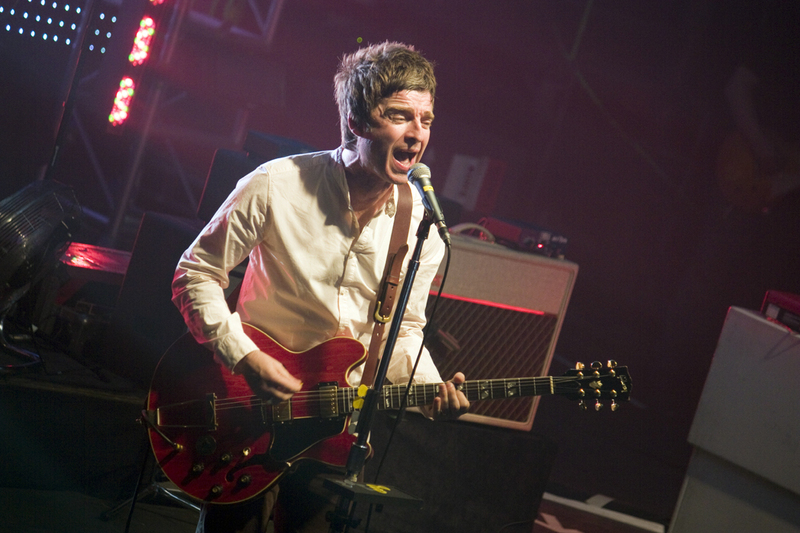 There, in front of our very eyes was the one and only…Noel Gallagher. Latitude festival had served us well when it was announced Noel was to close it with his second High Flying Birds album ‘Chasing Yesterday’. The brilliant, left-winged Mancunian spoke to us like we were his mates and not a couple hundred fans. We felt close to him. As he mocked the crowd by saying “This is like a Guardian readers’ rally”, it made that seven hour drive a little bit more worth-while. The 10th anniversary of the festival was perfectly closed with the deliverance of masterpieces such as; Whatever, The Masterplan, ‘Champagne Super-socialist’ and solo materials from the Oasis tracks. The devastating split from the Oasis group left thousands heartbroken but the way Noel presented himself during the live performance made the dream feel like it was at the end of our fingertips once more. The determination in his strong voice and hard strum during the finale of ‘Don’t Look Back in Anger’ brought everyone together (maybe even Sally heard us) and made me feel at home again. The iconic singer, song-writer and rock classic blessed us with his music (and humour to some extent) on the last day of the Latitude Festival.